Hair loss: Can Food Allergies Cause the problem of thinning of hairs? Home hair loss Hair loss: Can Food Allergies Cause the problem of thinning of hairs? No doubt, food helps in the overall growth of the body. In some cases, it might affect leave a negative impact on the growth of hairs. If you are intolerant to gluten then it can stop all the vital nutrients from being absorbed into the body. 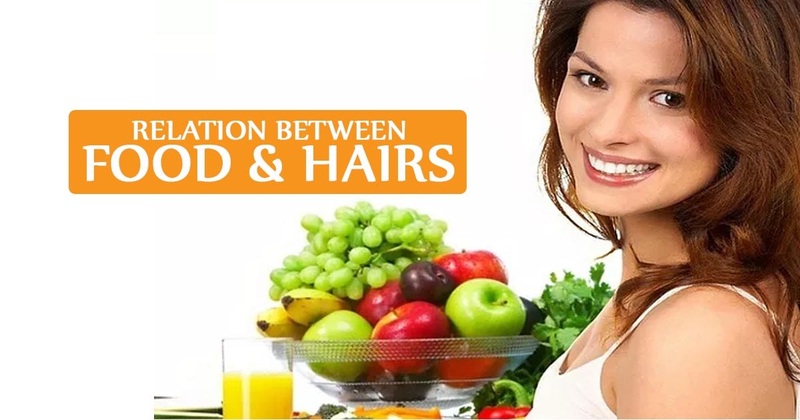 The person who is facing the problem of gluten allergies will face the problem of hair fall. This is indirectly related to the issue as it damages the gut wall and it stops the body from absorbing the nutrients which are required for the growth of healthy hair follicles. It also triggers the autoimmune responses and which leads to the problem of alopecia areata. In this case, it is very important that you should follow a healthy diet and if you are facing the problem for a very long time. Otherwise, it might lead to the problem of baldness and you have to get the treatment of Hair transplant in Visakhapatnam. However, it is very rare that any type of food allergies can make your hairs fall out. There are some food which might a doctor recommend you to stop consuming if the problem is in excess. Your dermatologists may recommend you stop taking fish which have a high level of mercury in them such as tuna and mackerel. As it might lead to the problem of hair fall. Some studies in the past have shown that mercury gets converted into methyl-mercury which is highly toxic. Food with high-fat such as fried food contains hydrogenated oils that trigger the problem of hair loss. If your diet contains a high level of fat it increases the testosterone level, which leads to the issue of male pattern baldness. Another food item is selenium which can make the problem worse. Your body needs this micro-mineral in very small quantity. Consequently, an excess amount of this can lead to hair fall. It is mostly found in brazil nut, tuna, oysters, and whole wheat bread. Food items which contain Vitamin A in a very high amount that also trigger the problem. Doctors advise that you should not take it as an individual supplement. Though there is not so much research on this some believe that it causes inflammation. Moreover, food item like potatoes, bread, white rice, and pasta contain the high glycemic index. It gets to break down into sugar very quickly and also leaves the same effect. Lastly, there is no evidence that these things can make your hair fall out. But, if your doctor advises you to stop taking any food item then you should avoid them and follow his advice properly. Next articleAre More Than One Hair Transplant Necessary For Permanent Hair Restoration?